This is a bit of an unusual post as I’m hoping someone will help with a query. 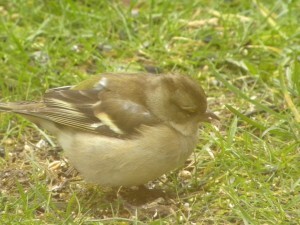 There is a Chaffinch that comes into the garden every day. 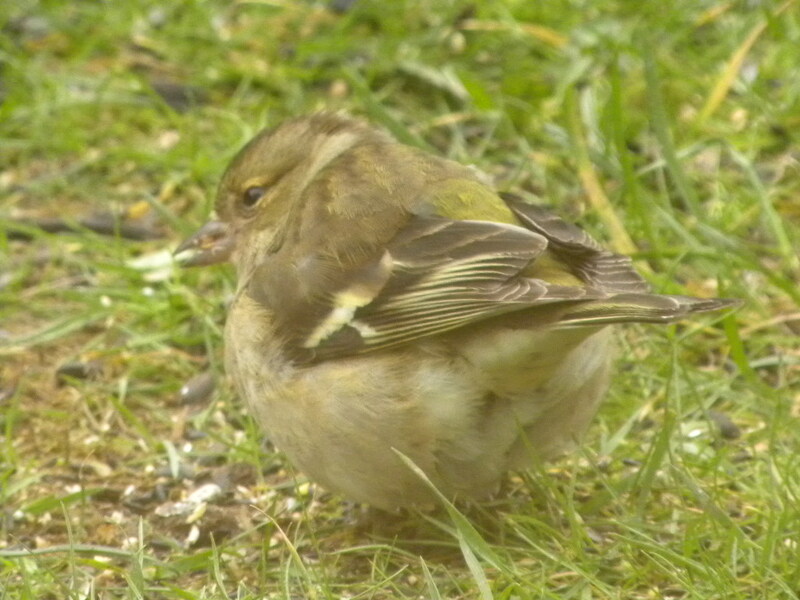 She is unusually plump to say the least 🙂 It’s as though she is plumped out to keep warm but I’ve never seen her “normal” size. I’m a bit worried that it might be a growth or illness or something that’s making her this size. 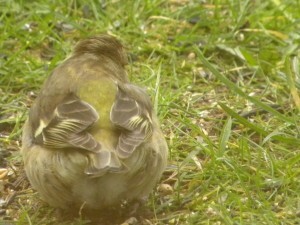 Below are some photos – pretty poor ones, I’m afraid as they were taken through slatted blinds! 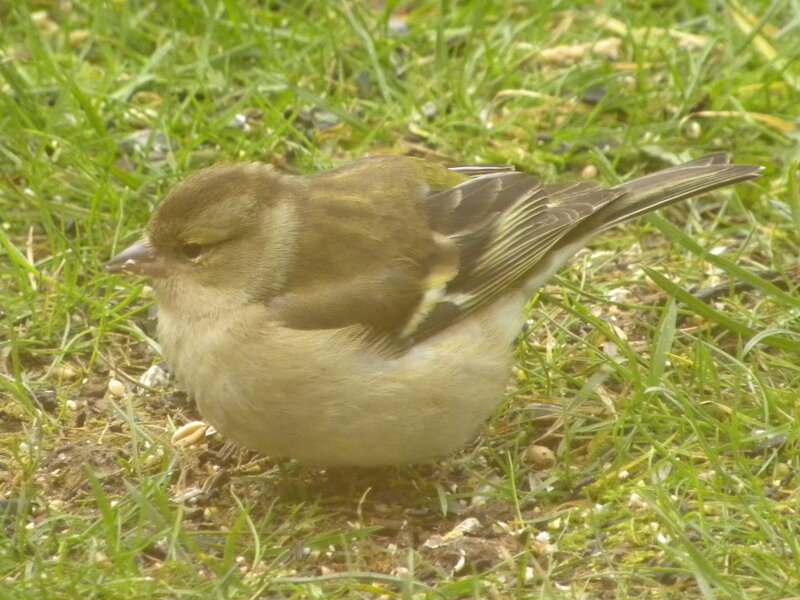 Unfortunately I couldn’t get a photo of her next to another bird for comparison, but she is big! (click on the photos to enlarge them if you wish). 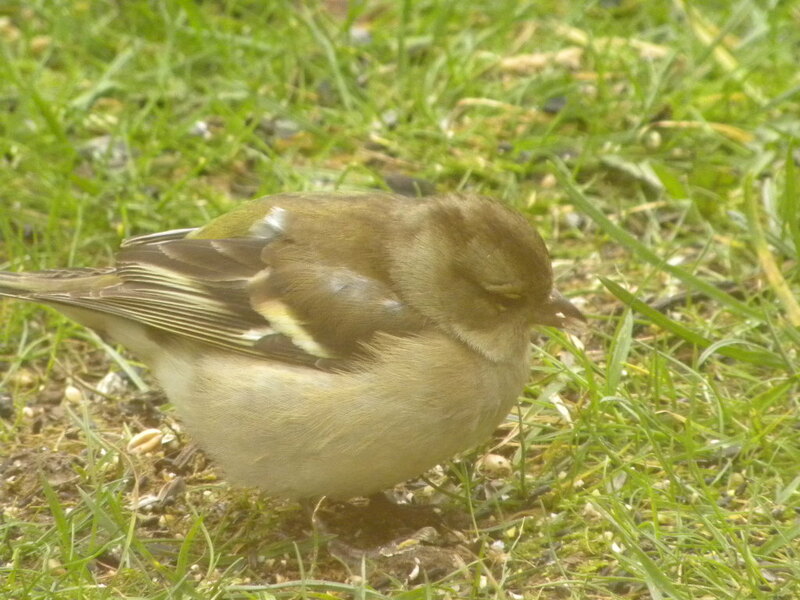 She seems to be feeding okay, and flying doesn’t seem to be an issue – is she just fluffing herself up to keep warm or does she look like there’s something wrong with her? 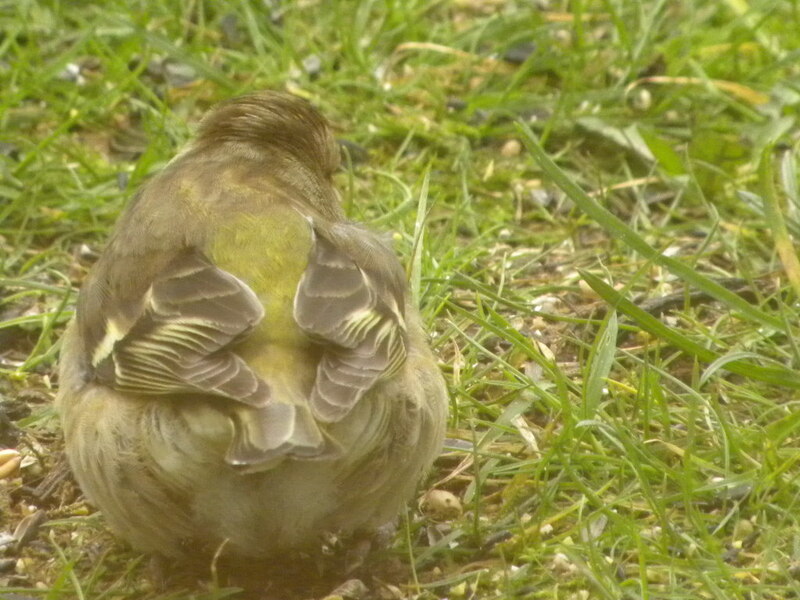 Oh dear, it looks like it might have that horrible finch disease (trichomonosis) Sharon. I hope someone will say I’m wrong but it does look like it could possibly be that to me. 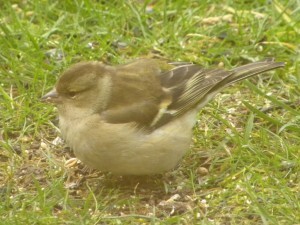 I still haven’t managed a decent photo of my Brambling yet! Thanks for dropping by Andrew – I’m hoping my next post will be of a happier note! Unfortunately Chris, she was not well at all 🙁 She ended up being really lethargic and falling asleep on the ground – haven’t seen her now since Sunday so I’m hoping she’s died – awful thing to say but at least she won’t be suffering anymore. On a different subject – Chris you definitely don’t want to see those picture of the Brambling, believe me! !